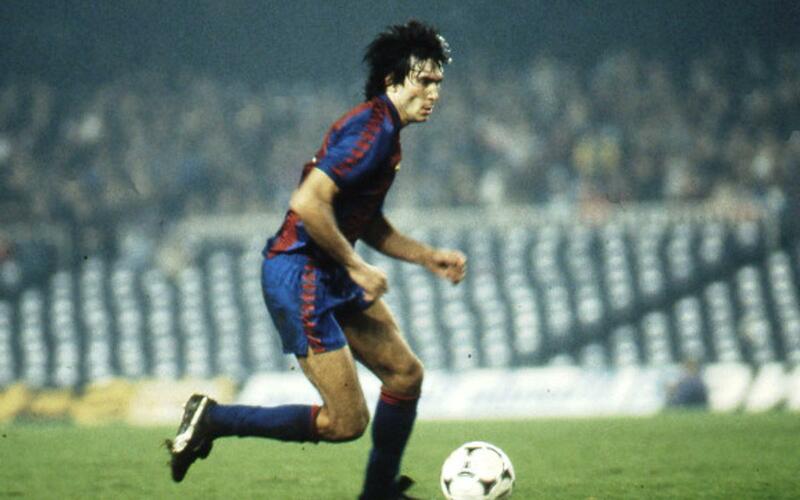 Considered one of the best wingers in Europe in the 1980s and one of the most popular Barça players in recent times. 'Lobo' Carrasco was a tricky and speedy winger, a great dribbler with a thin frame that many compared to Johan Cruyff. He was a spectacular performer, though he was at times seen as too individualistic. When he was only 20, he showed his quality in the 1979 Cup Winners Cup Final in Basle, when he started up front alongside Carles Rexach and Hans Krankl. He was a vital part of the Barça set up for 11 seasons and he played 502 times for the team to put him amongst the players who have made most appearances for the Club.